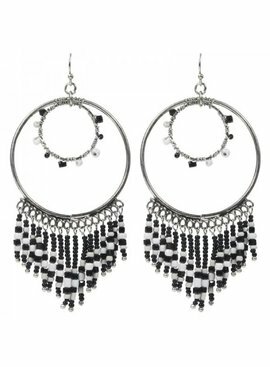 This Ibiza style, boho statement earrings are a must have. 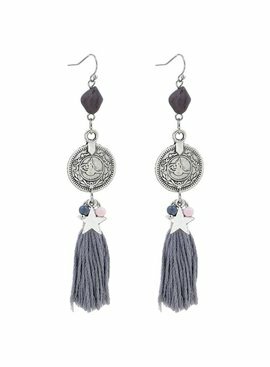 These long earrings complete your Ibiza outfit. Shop even more boho jewelry with us for the complete look! 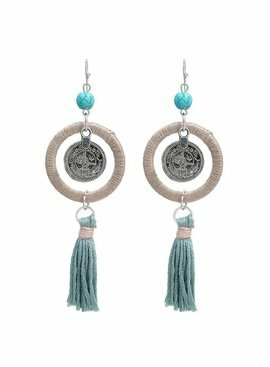 This cute silver colored round long earrings in Ibiza Boho style, consisting of rings with black and white beads makes your boho look complete! 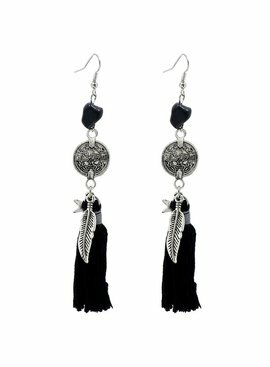 This trendy long round Ibiza earrings with tassel in turquiose or black will match perfectly with your boho outfit. Super fun for a festival or sunny holiday. Que Guapa!